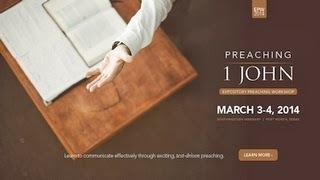 You can now access free audio to the Expository Preaching Workshop held in March 2014. The focus this year was on preaching 1 John although a few of the messages are not from 1 John. You can access the audio here.